School lunches, both Nut Free & Egg Free! So I’ve now completed making lunches for the first two weeks of school. I must say it has been a successful week, because NOTHING, I REPEAT NOTHING HAS COME HOME!! 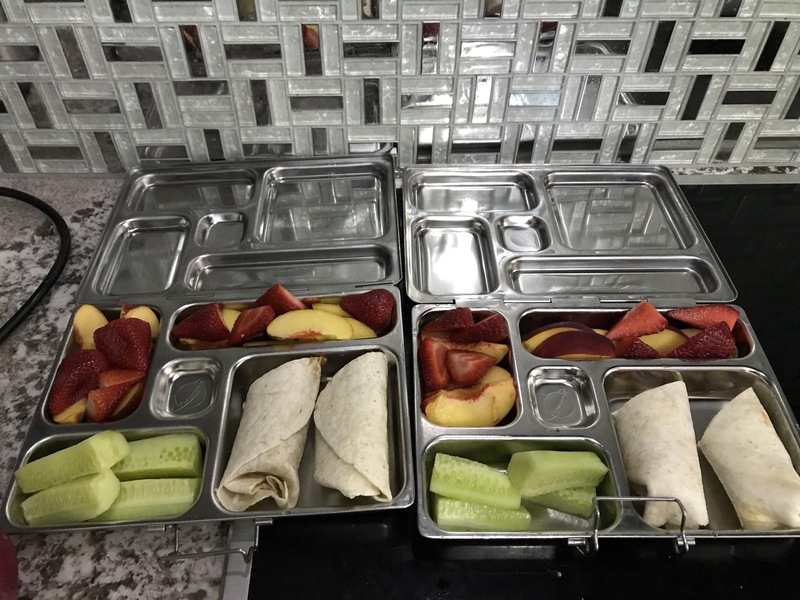 What I did was on Sunday while I was making dinner, I refused to sit down, and make my kids two varieties of wraps. For the wraps I used spinach wraps and regular wraps or tortillas. They both had no added sugar, and not as much salt as regular or even most whole wheat bread. We always accompany with two fruits and one veggie in the small planet box compartments. I had was slow roasted beef from natural selections, with old cheddar cheese and sliced dill pickles! This was a big hit with my kids, like Huge! Either on spinach or plain tortilla. 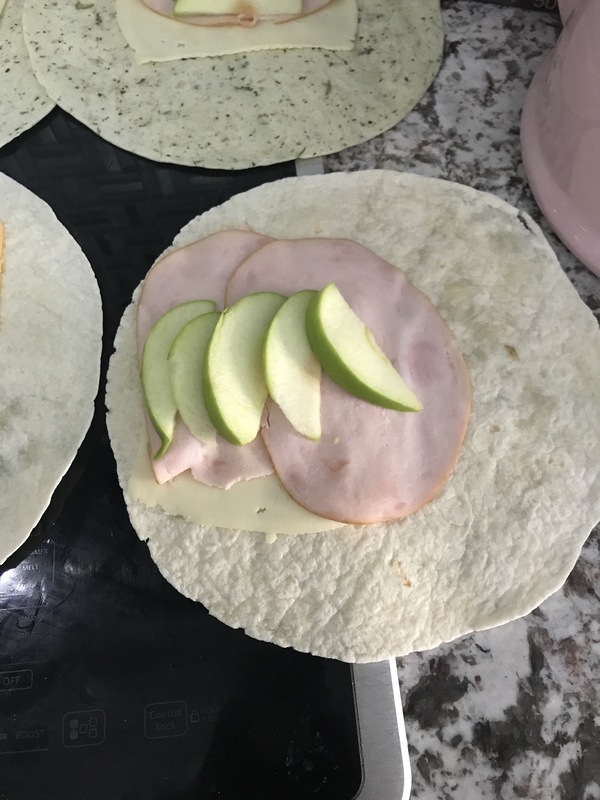 Natural selections turkey with sliced Havarti and green apple slices! Again Boom! Huge hit! 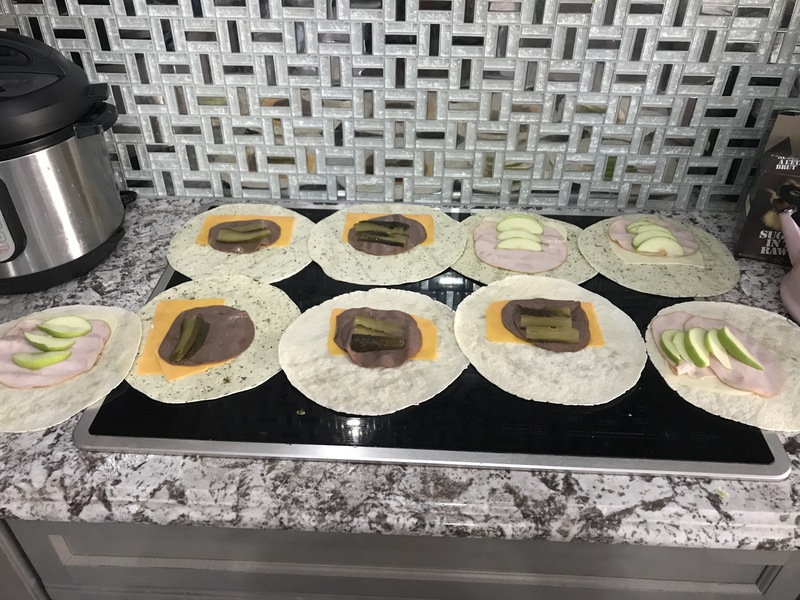 Then I placed all ten wraps into a large bag and kept it in the fridge pulled a new one out every day and sliced on the diagonal, or you can slice it in pinwheels if your kids like that fancy schmancy stuff! 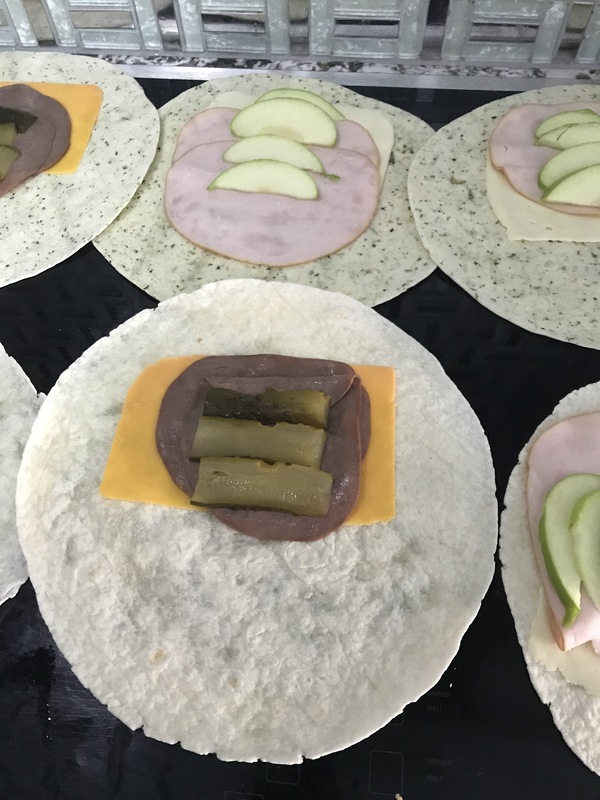 Apple butter, turkey, shredded mozzarella, cucumbers in an ancient grain wrap! Apple butter, Black Forest ham, cucumbers and feta! I write this for people who get mad that they have to deal with kids allergies at school, or parents who don’t know what to pack, or parents who want to get out of the norm of package foods, or even want to have their kids eat healthier. I really hope it helps! Stay tuned for more homemade snacks without packaging!